Security is making sure that any sensitive information you provide to us is in most cases not transmitted and not stored in any way, when it is it is done securly. 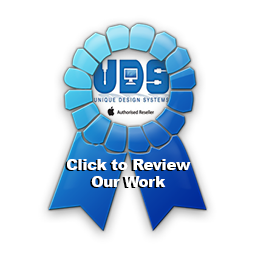 UDS provides a secure online environment in which you can safely provide information, purchase products/services, and view information. This site has security measures in place to prevent the loss, misuse, alteration of the information under our control and logs all network activities. If any information provided by you during your visit is stored, it will be on secure servers separate from our the internet. We do not ever store or write down any customer passwords online or onsite that is solely the customers responsibility. Privacy is the way we make use of the information you provide to us. UDS respects your right to privacy and understands that visitors to our web site need to be in control of their personal information. You may stop receiving future mailings and correspondence from UDS by contacting us directly. If you choose not to provide personal information, you can still visit the majority of the web site. However,you will not have access to areas or functionality that require personal identification, such as ordering product/ services and downloading software in the members section. In order to present information and functionality on the UDS web site and Google Helpouts that is customised to the needs of individual visitors, we require certain information when you view web pages,purchase product / services, register for UDS membership privileges, subscribe to e-mail newsletters and participate in remote support. Our servers and most servers worldwide collect common information which may include, but is not limited to, your IP (internet protocol) address (or domain name), type of browser, and computer platform when you visit our site. We use this information to improve site performance, help diagnose problems with our server administer our site and for security. Your IP address is used to help us identify you and enables us to gather demographic information. Our site’s UDS membership registration process requires you to give us common information which may include, but is not limited to, contact information (such as your name and e-mail address) and some additional information (such as your zip/post code, industry affiliation, or occupation). At times, we may also run online surveys or contests where we ask visitors for similar contact and demographic information. The UDS web site may make chat rooms, forums, message boards, and/or news groups available to its users. Please remember that any information that is disclosed in these areas becomes public information and you should exercise caution when deciding to disclose your personal information while using these types of services. To send you UDS Connection News e-mail.